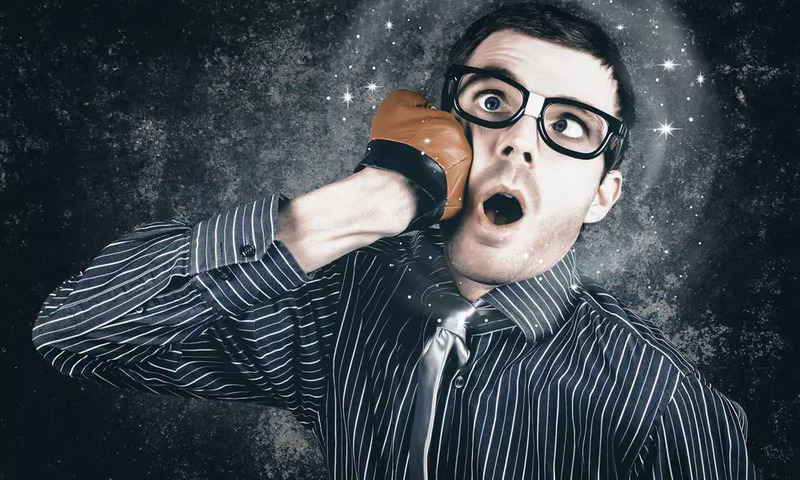 This is the second post in my series of posts on some of the tools I use to stay a little safer and protect my privacy online. With self-destructing cookies, you get a clean sheet even with those who don’t respect the Do-Not-Track header. The Do-Not-Track header is a request header that your browser can send to notify the websites you visit that you don’t want to be tracked. But as there is no money in it for advertising networks to respect the header, many of them sadly don’t respect it. They still set their tracking cookies to collect information about your interests and browsing behavior. Some of them even use localStorage instead of cookies, as that is often harder for a regular user to clear out. This add-on is no longer maintained. It is incompatible with Firefox 55+ and this will never change. I recommend you get Privacy Badger instead. 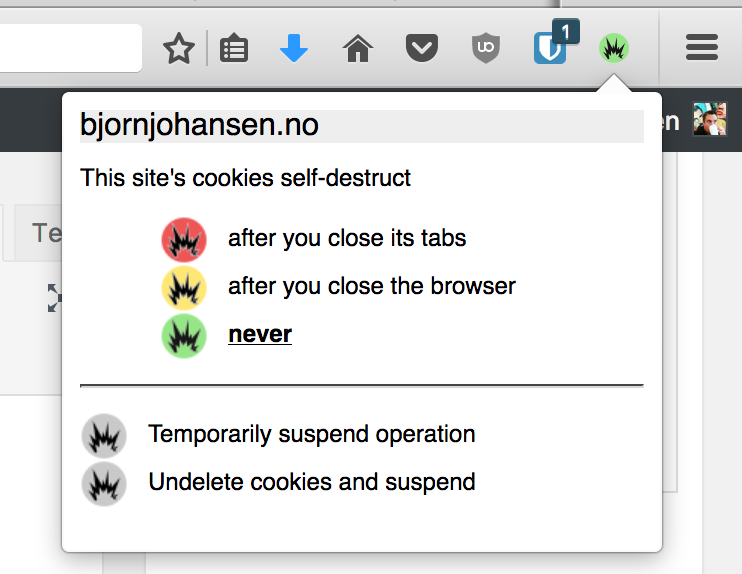 To the rescue for privacy-minded Firefox users comes the addon Self-Destructing Cookies by Ove. It’s a really neat little addon that cleans out cookies and the localStorage for a site as soon as they are no longer used by any of your open tabs. Finally, you can surf the interwebs without feeling like you need a long shower afterwards. There might be some sites that you trust and want to keep the cookies for. Simply click the Self-Destructing Cookies icon in the toolbar, and you can whitelist the site you’re on. You can also change the behavior to clear out the cookies and localStorage for the site when you close the browser instead of the tab. The color of the icon indicates the setting you have for the site you’re currently viewing. The color of the icon indicates the setting for the current site. Hover over the icon to see the last action it did. If the addon deleted cookies for a site that you wanted to keep, you simply click the icon in the toolbar and undo the operation. You can also suspend it for a period if you want to. I’ve been using the addon for a while now, and I’m really happy with it. By default, it will popup a notification every time it clears the cookies, but that quickly got annoying so I turned it off. After I installed the Self-Destructing Cookies addon surfing the web have been a much more blissful experience, and I recommend it highly. If you think having to log into all your services is a hassle, use a password manager, or whitelist the site. I’ve used this extension in the past, but decided it did more harm than good. It made it more annoying to browse the web. The only problem with this extension is that you can’t get rid of all the cookie-warning toolbars and full-screen popovers you get everywhere on the web. Your dismissal of those are also stored in cookies. “Allow first-party but self-destruct third-party cookies” would have been a useful option.